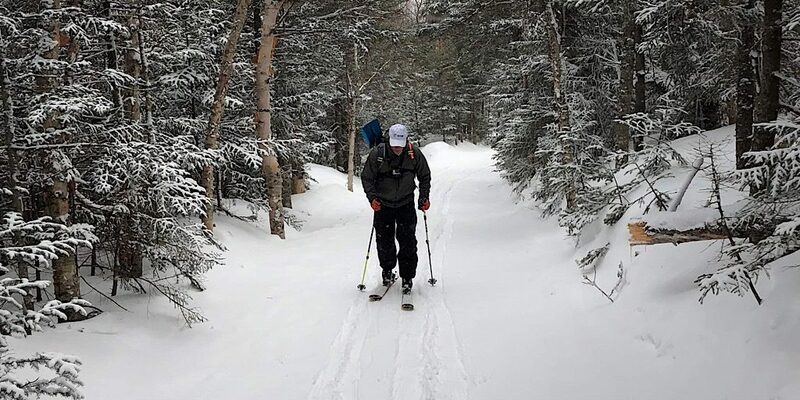 While one of our mountaineering skills classes was happening in the sheltered valley, up on the windy mountain Redline Guide Ryan Mcguire was delivery the goods to two gentlemen from Connecticut looking for a backcountry ski adventure. 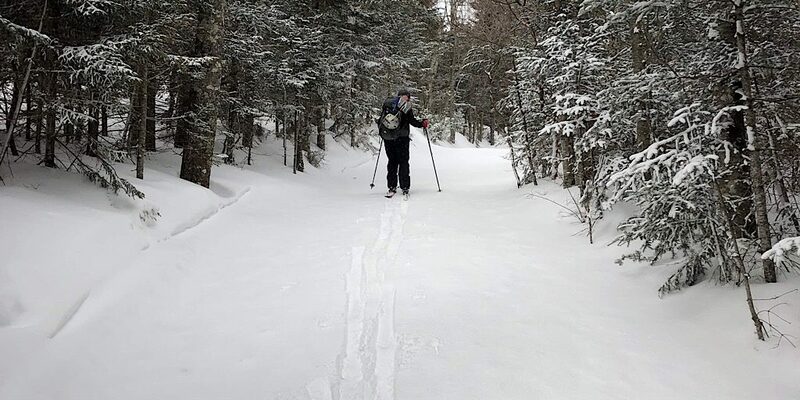 Specifically they wanted to ski Tuckerman Ravine. That didn’t happen. 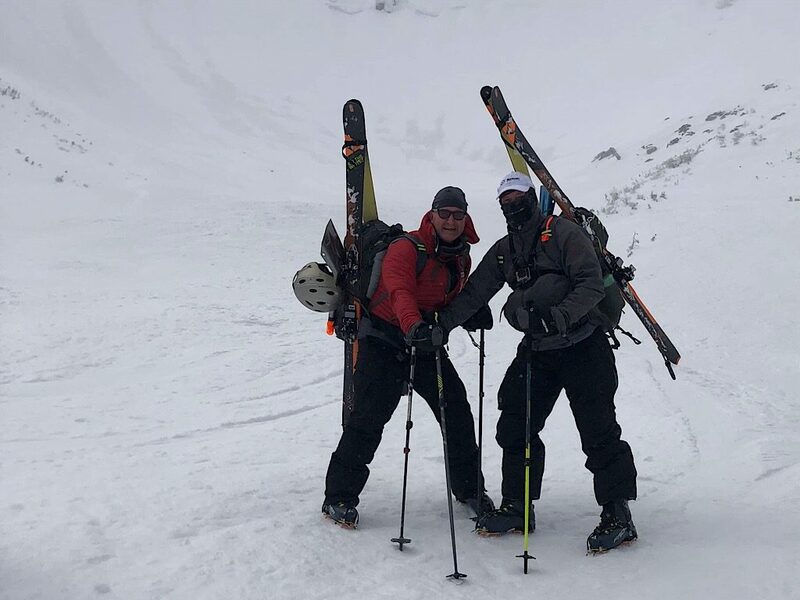 They went to the ravine, as far as they could safely go, but excessive avalanche dangers precluded venturing further or skiing Right or Left Gullies as they had hoped for. 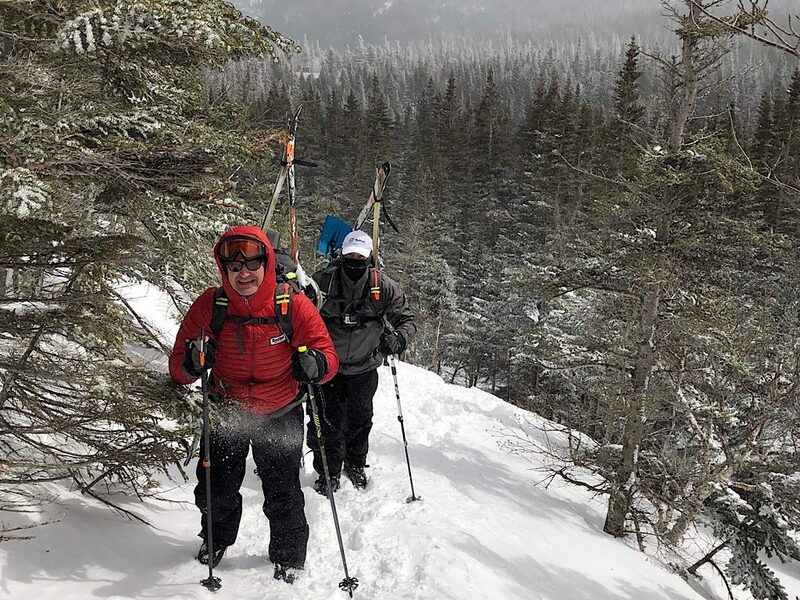 Instead they made the most of their time, learning about the sport and its dangers, as well as skiing Little Headwall and the Sherbie. 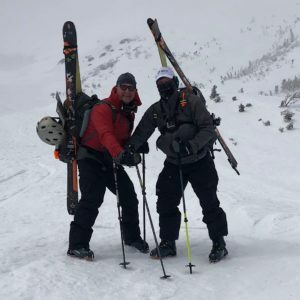 Ryan spent extra time in the morning sharing a wealth of information about the various factors concerning avalanches, making terrain choices, gear, and so much more. Both gentlemen retired the day spent, elated, satisfied (even thrilled) by the experience. They have already spoken to Ryan about returning for unfinished business. Here are a few photos of the day, courtesy of Ryan. 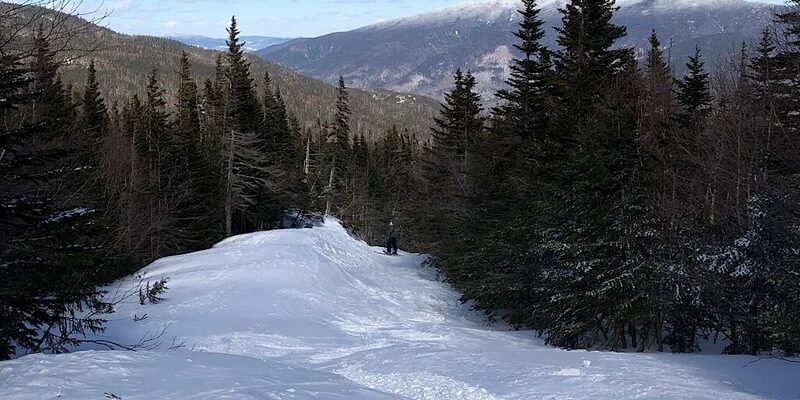 The earning part of earning your turns. The team is blessed with a welcome dusting of snow, but the day is not ideal. Both guests are using our Alpine Ready Packs. Even down on the ravine floor the winds made themselves known. 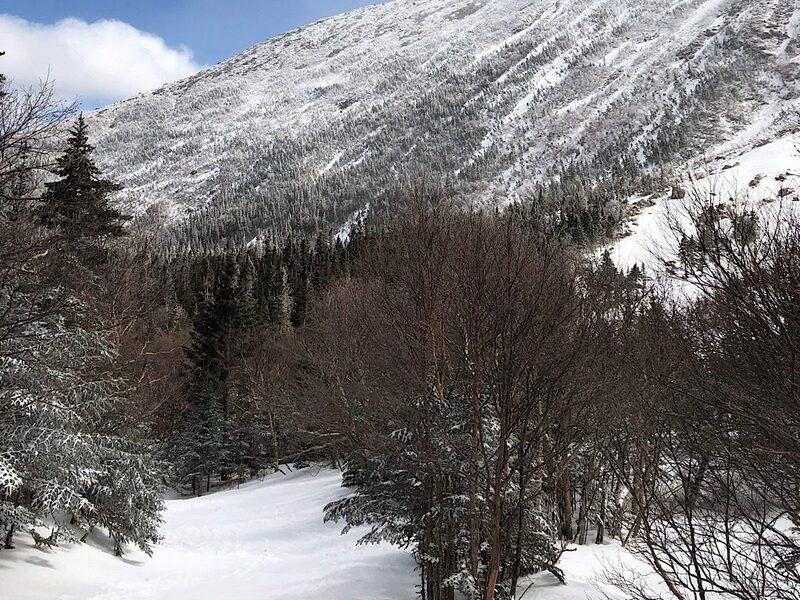 Beautiful day on the mountain, even with trying conditions. Well done, everyone. Thank you for choosing Redline Guiding. And Ryan, very impressive lead, sir!